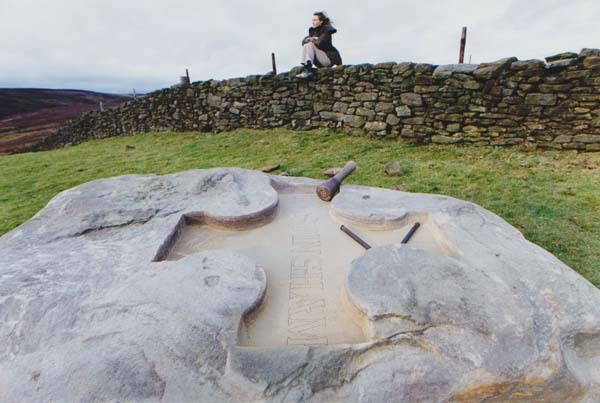 One of the very first projects I was asked to help with after moving to Lastingham, North Yorkshire – was to carve a stone for the village to mark the Millennium. A ‘tumbler‘ was chosen – a tumbler is the name given to a stone which has tumbled down hill from the place where it was quarried. As a result of the extensive industry of iron-stone mining, which began in Rosedale in the 1850’s, stone was excavated across the moor, at first quarried from the cliff face, but soon tunnels were dug into the hillside. Stone which wasn’t valued was laid aside, and remained abandoned when the industry stopped in 1929. 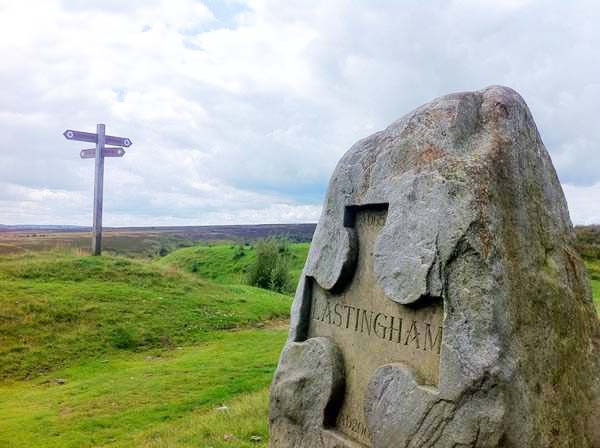 The chosen stone was to be placed at the moor edge above Lastingham and act as a ‘way-marker’ and date stone for the village. 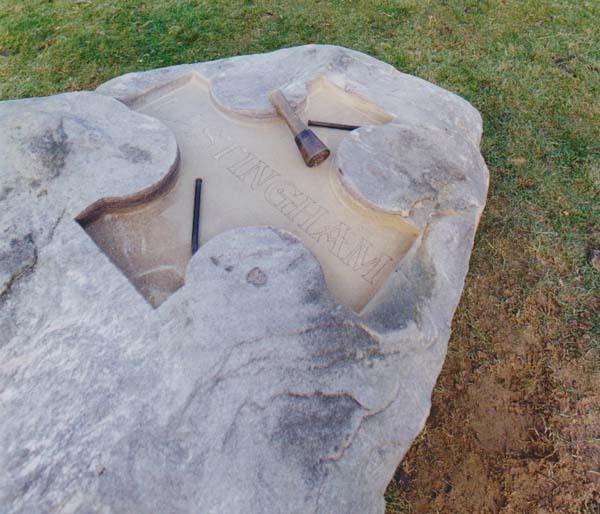 A cross was carved into the stone, and then in the recess, the wording Lastingham and the dates – first the date the village came into being AD654 and the millennium date AD2000. And there it stands, with its back to the wind and the heather moorland. Very soon walkers were upholding a tradition which other marker stones on the moors attract – one of leaving a few pennies on the top, in case the next traveller to pass was in need!